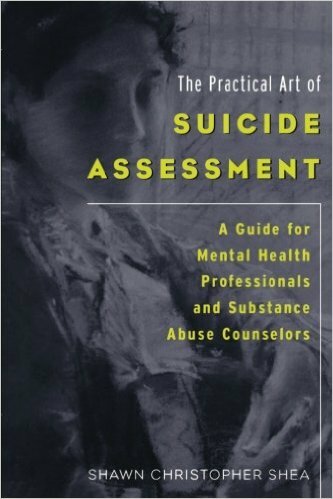 Viewed as one of the classics in the field of mental health, and acclaimed by both beginning students and experienced clinicians alike, The Practical Art of Suicide Assessment describes in a step-by-step fashion exactly how to make a sound suicide assessment. Dr. Shea explores the causes of suicidal ideation as well as the nuances of risk actors, protective factors, and the complexities of the clinical formulation of risk. He skillfully integrates all of this information for the reader by using real-life case examples and addressing daunting clinical challenges head-on such as assessing suicide risk with clients coping with borderline personality disorder or psychotic process. In addition Dr. Shea brings to life the highly acclaimed interview strategy for uncovering suicidal ideation, planning, behavior and intent the “Chronological Assessment of Suicide Events (CASE Approach)”. Dr. Shea, the originator of the CASE Approach, shows exactly how to creatively and flexibly use its innovative interviewing techniques to match the unique needs of every client. The CASE Approach has been described by the noted suicidologist and past President of the American Association of Suicidology, David Jobes, Ph.D. as follows: “The CASE Approach moves the clinician almost imperceptibly into the secret internal workings of the mind and soul of the patient tormented by suicidal ideation. I believe that the CASE Approach is a remarkable conceptual and clinical contribution to the field of suicidology. It should be taught to any front-line clinician. It has the power to meaningfully save lives.” Dr. Shea concludes the book with a no-nonsense approach to documenting a suicide risk assessment that can both help to save a client’s life as well as keep the clinician out of court. Respected across the globe, the Practical Art of Suicide Assessment has been translated into languages as diverse as French and Japanese. Mental Health Presses is pleased to re-issue this classic in contemporary suicide prevention (originally published in 2002). As a reader, I often find myself skipping over much of a book’s Foreword, so let me get straight to the point. With the publication of this book, there is now no better guide for learning about and clinically assessing the phenomenology of suicidal states. Penned with compelling elegance and charm, The Practical Art of Suicide Assessment is brimming with clinical wisdom, enlightening case illustrations, and a vibrant sense of compassion. Writers of Forewords have a tendency to proclaim that the book in hand is a “must-read” for every clinician. This time it is actually true. Shea has an almost unparalleled way of making sense out of the complex interplay of the biopsychosocial and philosophical forces that lead a human to take his or her own life. What at first glance seemed senseless, murky, and intangible becomes palpably real to the beginning clinician. Shea then offers a practical, commonsense, and accessible approach to systematically assessing the nuances and essentials of suicidal thoughts, plans, and behaviors. He walks the student through this process step by step, offering numerous examples of useful questions and fascinating excerpts of clinical dialogue. For the seasoned clinician, this book is no less valuable. The most daunting and complicated clinical scenarios are dealt with plainly and with a no-nonsense approach, from emergency-room assessments of psychotic patients to borderline “suicide talk” at 2:00 A.M. Controversial topics such as the usefulness or uselessness of safety contracts and the role of the clinician’s own thoughts and biases toward the topic of suicide are discussed head-on and with a refreshing candor. Shea never talks down to his readers; rather, he shares himself and his techniques with matter-of-fact openness. He reminds us of the inherent challenges and rewards that are central to the life-and-death arena of clinical work with suicidal patients. As the seasoned clinician reads, old facts are suddenly seen with a new light. Seemingly disparate clinical encounters garnered over years of clinical experience become connected by underlying principles that can be immediately applied to the next clinic day. There is an earnest quality to the writing. Shea’s sharing of his clinical vignettes highlights the importance of timing, patience, technique, and the acceptance of our own mistakes and failures. No less would be expected from this author. This same sense of an always-welcome “beginner’s mind” was one of the irresistible qualities of his first book, Psychiatric Interviewing: The Art of Understanding, now in its second edition. That classic text was my original introduction to Shea. As a teacher of graduate students in clinical psychology and counseling, I was delighted when I discovered it. The book is rich with case presentations, vivid clinical dialogues, theoretical eclecticism, empirical underpinnings, literary style, personal wit, clinical acumen, and undeniable readability. I can’t think of any other book that my graduate students enjoy as much, or talk about with more enthusiasm. In my view, Psychiatric Interviewing: The Art of Understanding is unequivocally the best beginning text for mental health professionals, no matter what their discipline. I am delighted to say that the present effort is a worthy successor to this previous work. As a career suicidologist, I marvel at Shea’s almost uncanny ability to grasp, embrace, and extend what we know about effective clinical work with suicidal patients. While plainly a master clinician, Shea is nevertheless a relative newcomer to the subspecialization of clinical suicidology. The freshness and vitality of his approach take us to a new level of clinical understanding. His most striking contribution to the practical assessment of risk is his innovative interview strategy for eliciting suicidal ideation itself, a strategy he calls the Chronological Assessment of Suicide Events (the CASE Approach). The CASE Approach is a remarkably pragmatic and systematic interview strategy that enables clinicians to flexibly and comprehensively assess the nooks and crannies, the ins and outs, of different suicidal states. The CASE Approach moves the clinician almost imperceptibly into the secret internal workings of the mind and soul of a patient tormented by suicidal ideation. From this shared phenomenological exploration, the client’s immediate risk becomes much clearer. I believe that the CASE Approach is a remarkable conceptual and clinical contribution to the field of suicidology. It should be routinely taught to any frontline clinician. It has the power to meaningfully save lives. Shea’s work complements other recent work by leading clinical suicidologists who are increasingly emphasizing the importance of understanding the power and seduction of suicide for those who are experiencing unbearable pain and despair. Shea wisely walks us through a nonjudgmental, systematic, thoughtful approach to appreciating the attraction of suicide as an apparently viable solution to ending this pain. In so doing, he helps us understand how we can help a patient to seek alternative solutions. This search—not always, but often—leads to hope, renewal, and the choice of life over death. In the last analysis, this is a very human book about the very human struggles of people who find themselves standing at the precipice of eternity. Shea helps us to understand their exquisite pain, and that understanding gives us the capacity to reach out to those who are at this precipice. I have no doubt that the reader will find herein the skills and the confidence to enter the world of these acutely suicidal patients, to sensitively yet tenaciously ask the right questions at the right times, and to enter their world of suicidality with as little pre-judgment, fear, or bias as one can manage. The gentle wisdom of this book allows us to discover within ourselves the capacity and courage to help such patients make seemingly unlivable lives once again livable, creating new life and new hope—an important, if not noble pursuit. This is a book designed specifically for front-line clinicians. Few clinical challenges are as daunting nor as critical as the art of suicide assessment. This book is intended to be a fast-paced and practical guide to this art. Much has been written about suicide, but the field lacks a single concise introduction for busy everyday clinicians in the fields of mental health, substance abuse, and school counseling. This book attempts to fill this gap. In particular surprisingly little has been written about the actual elicitation of suicidal ideation, yet there can be little doubt that clients can provide strikingly different databases to different clinicians depending on how the clinicians phrase their questions and establish a sense of safety. This book focuses directly on this art of eliciting suicidal ideation. It introduces an innovative interview strategy, the Chronological Assessment of Suicide Events (the CASE Approach), that was initially developed in the “clinical trenches” of a busy urban emergency room at Western Psychiatric Institute and Clinic in Pittsburgh, Pennsylvania, and subsequently refined doing community mental health work in the rural settings of southern New Hampshire. In addition an attempt is made to help the reader gain a clearer understanding of the complex inner worlds of both the client contemplating suicide and the clinician trying to prevent it. These two worlds invariably interact and change one another. Whether the client and the clinician choose to acknowledge it, both are changed by the act of sharing such intimate material. Towards this end the fascinating world of suicidal etiology and phenomenology is explored in detail. A heavy emphasis is placed on illustrating potentially confusing clinical presentations ranging from suicide assessments in ongoing therapy to emergency room settings. Part One, The Experience of Suicide: Etiology, Phenomenology, and Risk Factors, is composed of three chapters. In Chapter 1 an effort is made to highlight the impact of suicide and to demonstrate some of our current limitations at its prediction while pointing out that there is hope that our predictive abilities can be improved. In the second chapter we will embark upon a detailed examination of the etiology of suicide and the phenomenology of people who are contemplating it. An understanding of the diversity of the etiologic roots of suicide can help the clinician to recognize its many faces. By exploring the phenomenology of the inner world of the acutely suicidal client, I believe a clinician can increase his or her “intuitive ear” perhaps hearing a danger that others, less trained, would miss. In the third chapter we will look at two illustrative clinical presentations which bring suicidal risk factors into sharper focus. In Part Two, Uncovering Suicidal Ideation: Principles, Techniques, and Strategies, we will address the interview itself, getting down to the nitty gritty of everyday assessment. In Chapter 4 we will explore the resistances and biases of both the client and the clinician that can disrupt the uncovering of suicidal intent. In Chapter 5 six validity techniques will be illustrated that the reader can use immediately, and which will serve as the foundation stones for the CASE Approach. In Chapter 6 the CASE Approach itself is carefully delineated. Chapters 5 and 6 rely heavily upon the direct demonstration of the techniques described in the book via carefully designed sample interviews and numerous examples of specific questions. In addition, in Chapter 6 we will look at an actual transcript of an assessment using the CASE Approach from front to back, illustrating and discussing the nuances of the techniques as they unfold. Part Three, Practical Assessment of Risk: Flexible Strategies and Sound Formulations, consists solely of Chapter 7. In this chapter we will explore the complicated variables that can make arriving at a sound clinical judgment of risk so daunting. This chapter explores critical issues such as contradictory data, client deceit, the role of corroborative sources of information, and the always vexing issues of forensic liability. All of these complicating “real-life” difficulties in suicide assessment are looked at via seven clinical case presentations from a variety of settings. 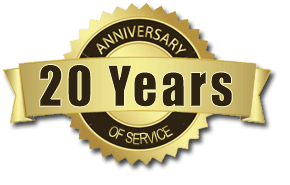 Please note that the names of all clients have been changed, and at times distinguishing characteristics or facts have been altered to further protect their identity. In closing I should emphasize that this book is not an attempt to review the vast body of literature on suicide. It is my hope that it will stir readers to explore this fascinating reading for themselves. The focus in this book is on a no nonsense approach to suicide assessment for the busy clinician of today. Edward Shneidman, in the opening epigram, pointedly referred to a bottleneck in suicide prevention. It is my sincere hope that the principles delineated in the following pages will serve as one step toward the dismantling of this bottleneck and ultimately help us to save lives.